Are you ready for some football? I know my family is! 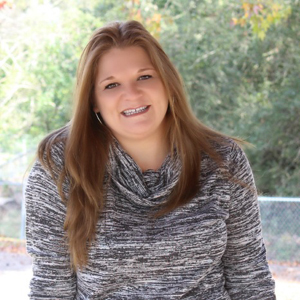 NFL Sunday Ticket has been purchased, the lineup has been added to our calendar for our favorite team (Kansas City Chiefs) and the hubs has already lined up his fantasy football team for the season. We are ready to eat and sleep football season over the next few months, but not without the help of SNICKERS® Brand! Oh yes, I said SNICKERS® Brand! Yum…right? 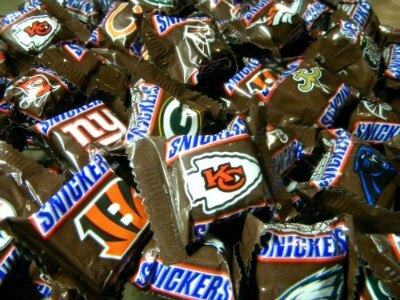 SNICKERS® Brand NFL Minis are by far one of my absolutely favorite candy bars to have for a midnight snack. On my last trip to Walmart, I was craving their chocolatey taste and looking for inspiration to make some new recipes to share with our friends when kickoff begins. 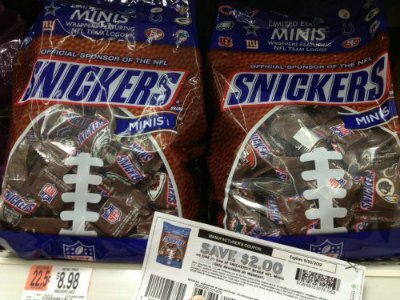 When I found these sweet little SNICKERS® Brand NFL Minis, there were screaming to me…BUY ME! After grabbing a few more supplies to get busy in the kitchen testing out something new, we were set and ready to get home! 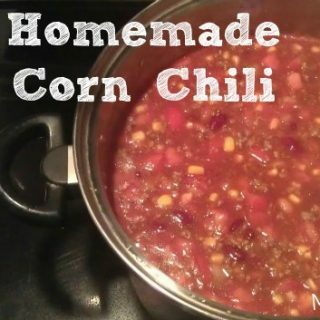 Because there can never be too many new recipes to try…well at least that’s how I feel. I have 2 really tasty recipes that will knock your socks off and have your friends begging for the recipe! Follow directions on the box to make cupcakes. 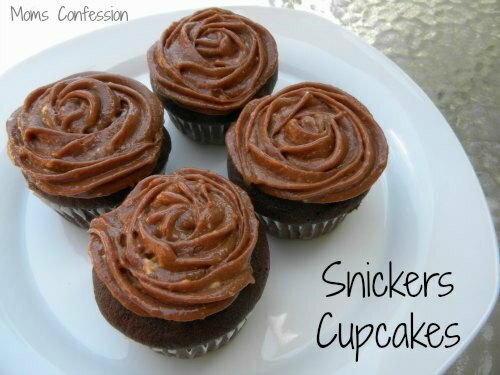 Place 20 of the SNICKERS® Brand NFL Minis in a blender, food processors, etc. Add remaining ingredients (butter, water, and vanilla) to food processor with SNICKERS® Brand NFL Minis. Place in refrigerator for approx. 5 mins to harden slightly. Put icing mixture into a cake decorators piping tool to decorate. Follow directions on the box to make pudding. 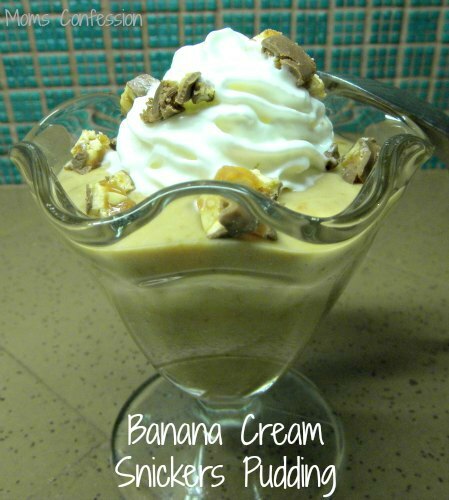 Mix the SNICKERS® into pudding mixture. Top with whipped topping and remaining SNICKERS® Brand NFL Minis chopped up for garnish. 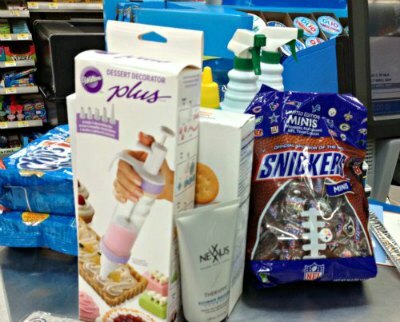 See my shopping trip story above or at Google+ #SnickersMinis. Be sure to follow SNICKERS® Brand on Facebook and Twitter. Yum! Frozen Snickers bars, in any size, is one of my favorite treats. I agree there are never too many recipes to try. ;) Have a great day.